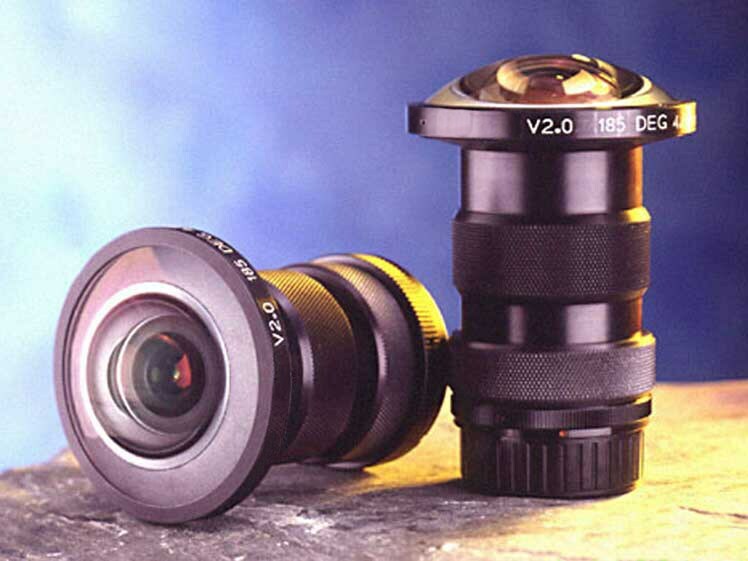 Jenoptik has set a new standard with this extremely wide-angle objective lens. The ten-part optical design produces sharp high-contrast images in an image field of up to 185 degrees. This spherical fisheye objective lens captures an image field of up to 185 degrees with an image circle diameter of 22 mm. The objective lens has very low f-theta distortion. It features an adjustable iris and manual focus, allowing you to create sharp, wide-area images, such as in astrophotography, remote sensing or with hemispherical imaging instruments.